A Supreme Court jury has found Channel Seven guilty of defamation against Mercedes Corby. Ms Corby is the sister of convicted drug smuggler Schappelle Corby. She sued Channel Seven after the broadcaster's current affairs show Today Tonight falsely implied she was a drug dealer. Vindicated … Mercedes Corby with her lawyer Stuart Littlemore after she won a defamation case against Today Tonight. MERCEDES CORBY won her defamation case against Channel Seven last night, a jury finding that a total of 28 defamatory meanings had been conveyed in three Today Tonight programs and a television news story in February last year. Of the seven defamatory meanings that Channel Seven and its co-defendants sought to defend on the grounds they were true, the jury found that only one - that Ms Corby was guilty of the crime of possessing marijuana - had been established. As she walked out of the Supreme Court with her lawyers, Ms Corby said: "I am really happy, but I have still got more to do. I am really happy with the outcome thanks to my legal team." Jodie Power, the former best friend of Ms Corby, went out the opposite entrance with Bryan Seymour, the Today Tonight reporter who interviewed her. Clearly distressed, she said: "At least I can walk out of here with my head held high. I did not have to lie about myself. I did not have to invent anything. There were no voodoos for this story." Seymour put his arm round her and said: "It's OK, dear." Ms Corby, after a brief consultation in chambers with her barrister, Stuart Littlemore, QC, and solicitor, Bill Kalantzis, walked down Martin Place and, seeing Anna Coren, presenter of Today Tonight, give a live studio telecast of the program that had defamed her, paused to look in. 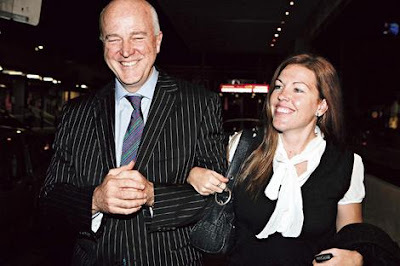 The defamatory statements by Ms Power followed a falling-out between her and Ms Corby in 2005 after the arrest of Ms Corby's sister Schapelle in Bali in October 2004. Schapelle Corby was charged with trying to smuggle 4.1 kilograms of marijuana into Indonesia, an offence that earned her 20 years' imprisonment. The trial heard evidence that Ms Power, although claiming to want to help in Schapelle Corby's defence, became domineering and gave interviews to magazines such as Woman's Day for money. When Ms Power returned to Bali with presents from Woman's Day readers to give Schapelle Corby, the jailed woman would not see her and Ms Power blamed Mercedes for intervening. The two never spoke again. The defamation case, before Justice Carolyn Simpson and a jury of four, lasted just over four weeks and was the first held under amended defamation laws. Instead of restricting a jury to deciding whether or not the alleged meanings are conveyed, the jury must now decide whether they are defamatory and whether or not the defence, in this case of truth, is established. Justice Simpson, who appeared irked at times because of the antics of a somewhat truculent bar table, thanked the jury of three men and a woman for their attention and said they were "trailblazers" for the new legislation. Ms Power said or implied on the Today Tonight programs that Mercedes Corby had: asked her to smuggle drugs into Bali; confessed to her that she had smuggled marijuana herself; had cultivated, sold, supplied and possessed marijuana; and had lied to the public about her family's involvement in drugs. She also said or implied that Mercedes had been knowingly involved in her sister Schapelle's importation of marijuana into Bali. Ms Power further said or implied that Ms Corby was a threat to her safety, and that she had denied her sister's Indonesian lawyers a chance to prove her innocence. She said Ms Corby was guilty of the crimes of taking the illicit drugs cocaine, shabu, ecstasy and speed in the five-year period before February 2007, and that she was guilty of the crime of possessing those drugs. Ms Corby launched defamation proceedings against Seven, the Seven Network, the producers of Sky News, Coren, a Today Tonight reporter, Bryan Seymour, and Ms Power. Ms Corby, 33, admitted she had smoked marijuana but that was years ago when she was young and silly and that her marijuana smoking consisted of "a few puffs" - perhaps seven times - and three portions of an ecstasy tablet which added up to just one tablet. During legal argument, Mr Littlemore conceded that merely to hold marijuana in one's hand amounted, technically, to possession, but did not necessarily amount to possession in any substantial sense. But all other allegations were denied. The proceedings, in which both sides called witnesses, were marked by rigorous cross-examinations by Mr Littlemore and Seven's legal team, which included Tom Hughes, QC, his son Tom Hughes and Kieran Smark, SC.